Decide where you want to put your design. I made some sketches to help me visualize. 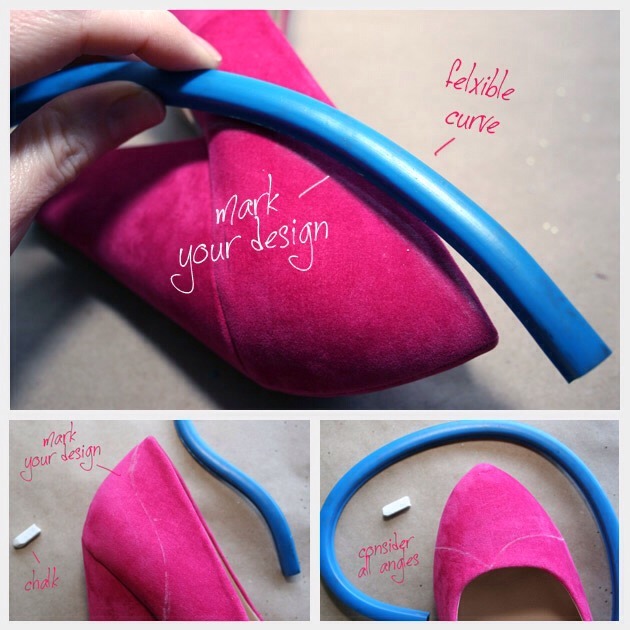 Using your chalk and your flexible curve (optional) carefully mark your design. Do this for both shoes. 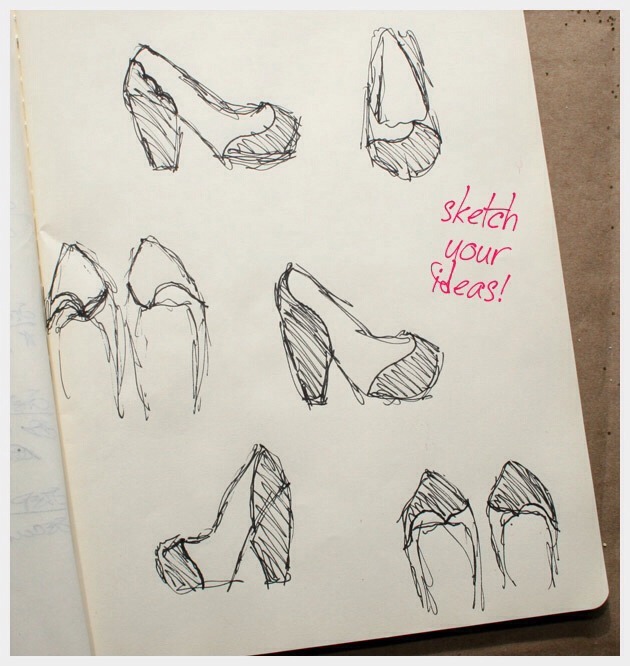 When you are marking your second shoe make sure all your designs match from one shoe to the other (unless of course you want them different). You can also use tape to mark off your design but I find this to be a little messy, because the tape doesnt always keep it from bleeding through and once your Glitter/Mod Podge mixture is dry it tends to be a bit rubbery as in, if you pull on it, it will peel. 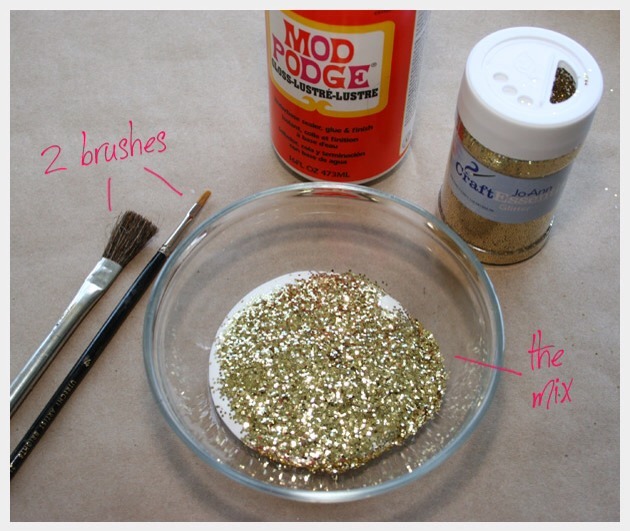 Mix your Mod Podge and glitter in a small bowl. I always do this by an open window. The Mod Podge is a bit stinky. 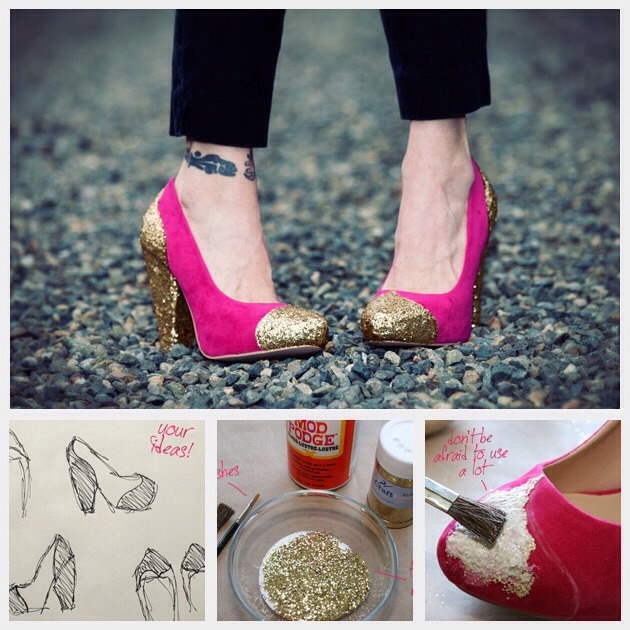 Starting with your big brush paint your Glitter/Mod Podge mixture onto your first shoe. I recommend starting in the middle of your design and working toward your edges. You will use your small brush to carefully paint the edges of your design. Place your shoes outside if you can or by an open window to dry, they will dry faster this way. 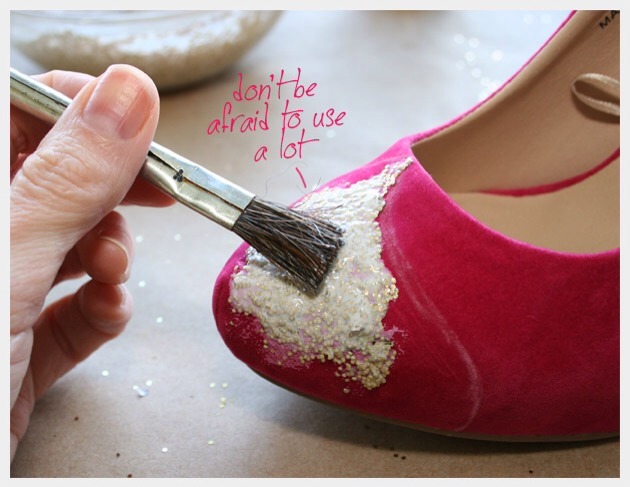 I also recommend you dont throw out your Glitter/Mod Podge mixture yet. 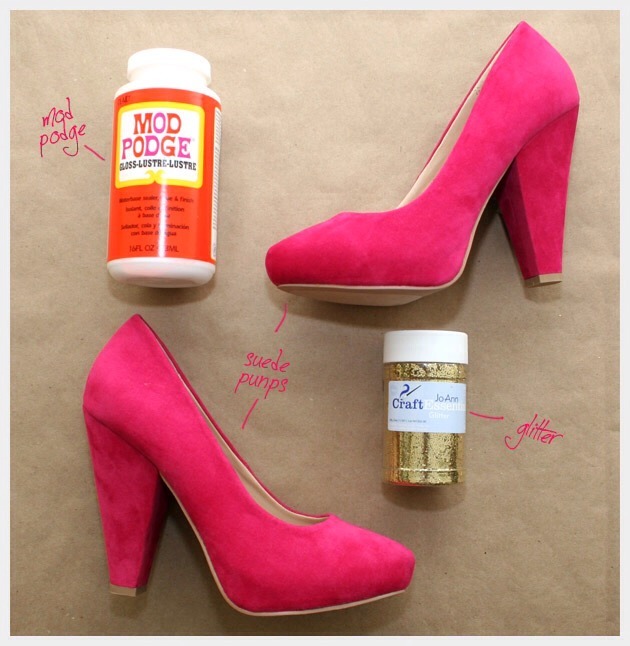 As your shoes dry check them for places where the shoe color is showing through and touch them up. 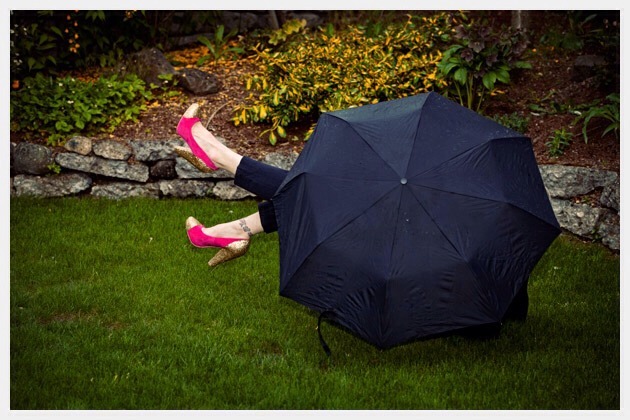 Once your shoes are completely dry youre ready to roll. I found the dried Glitter/Mod Podge to be pretty tough too. 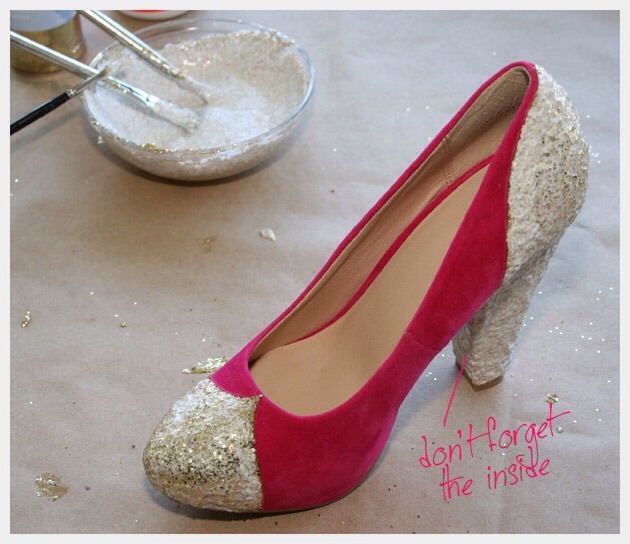 Of course you still want to treat them with care but enjoy, kick up your heels and add a splash of color to your life with a sparkle!